Marriage exists as a public institution to bring together men and women for the reproduction of the human race, and to keep together a man and woman to raise to maturity the children produced by their union. To change the definition of marriage means that the government, in effect, is telling society that neither of those things is true -- that reproduction is not important, procreation is not a public purpose, and children do not need a mother and father. 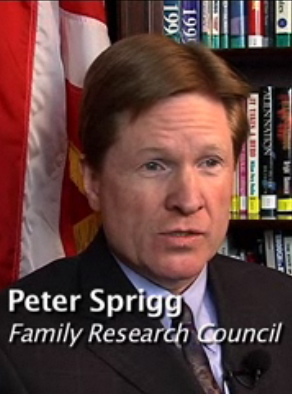 Sprigg suggests what other marriage discrimination advocates suggest. 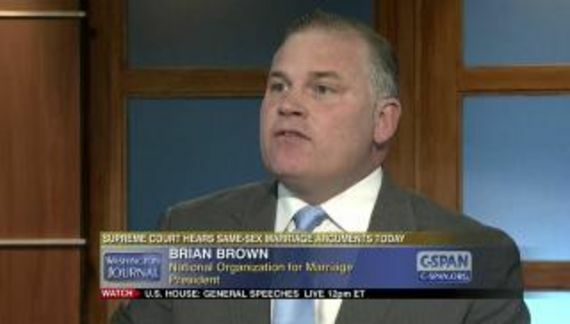 Somehow, because gays can marry, the same straight couples will not unite in the same marriages. Furthermore, those heterosexuals who do wed will, because gays can marry, crank out fewer, more or possibly different children. Then, because gays can marry, they will care for those children differently. All this because, somehow, allowing gays to marry sends some sort of message (other than the one that gays can marry) to society.